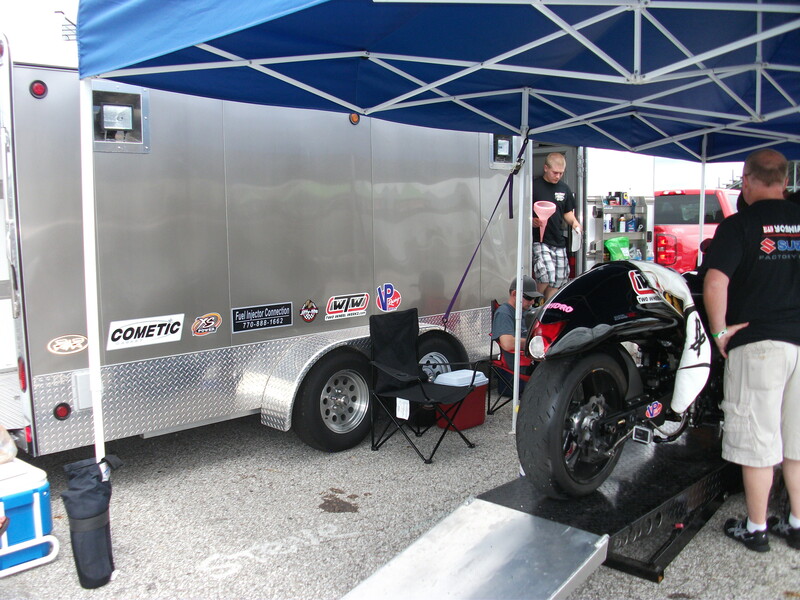 David Broyles, DNB Motorsports — New Castle,IN . 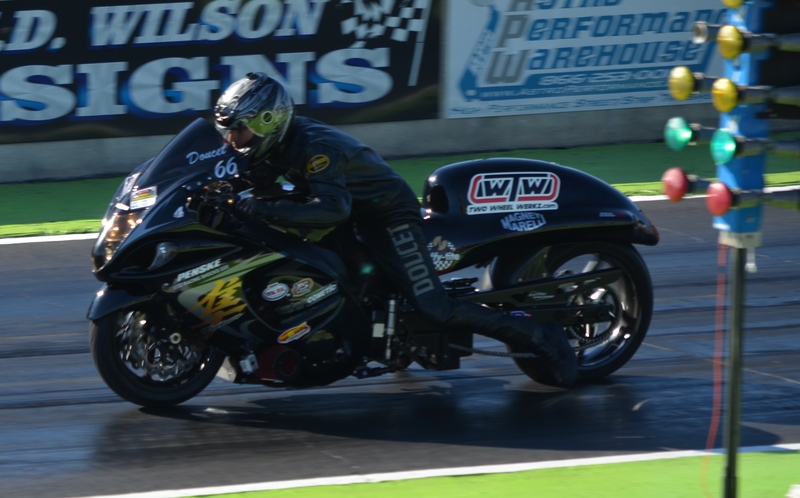 Our rider, Justin Doucet races the DNB Motorsports Hayabusa in the NHDRO series, Pro Street Class. We also try to attend at least a couple of Man Cup races per year. 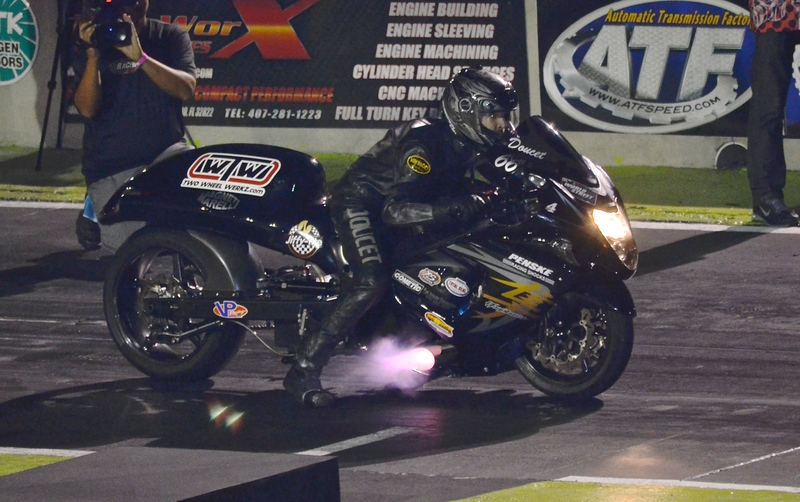 We broke the Orlando Speedway track record in October of last season when we qualified #1 with a 6.907 at 204.42 MPH. We made it to the finals, but unfortunately lost when the #1 rod broke. 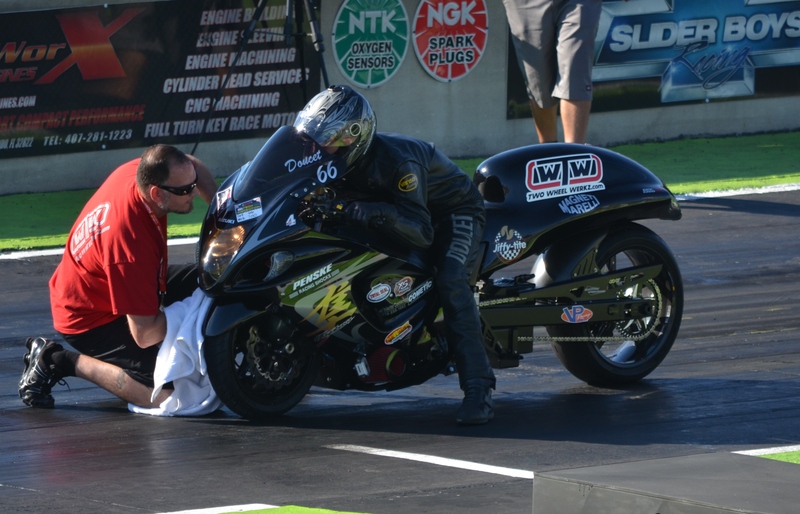 We are looking forward to an incredible 2015 season!